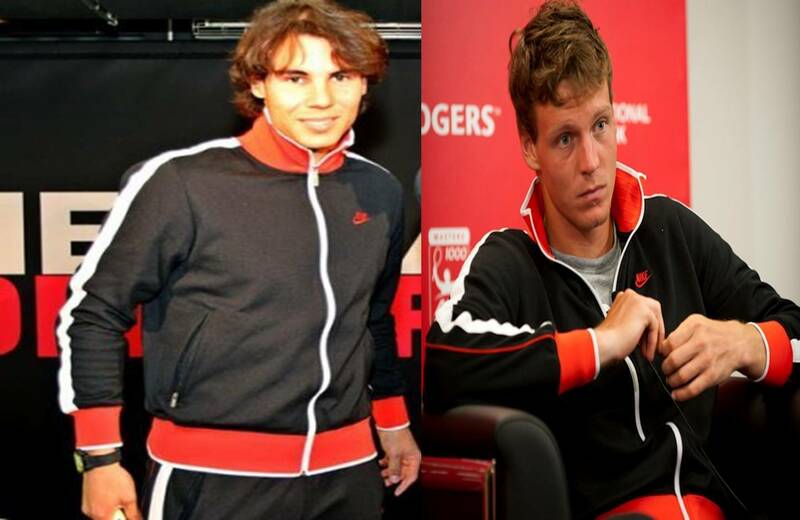 RAFA AND TOMAS IN THE SAME SWEATER. . HD Wallpaper and background images in the Теннис club tagged: tennis andy murray tennis champion roger federer. This Теннис photo might contain спецодежда and рабочая одежда.